I originally wrote this blog post in 2013 that was highlighting Mark Driscoll’s support for tithing. But I’ve just come across a video posted august 29, 2016 of Mark Driscoll seemingly to disagree with tithing in the church. Here is a link to the article his website http://markdriscoll.org/does-god-require-all-christians-to-tithe/. You can also watch the video below or if you just want to see the relevant parts, I’i’ve quoted those below the video. Mark Driscoll gets tithing wrong. The original videos that were posted have been removed. I have added a new video that i believe was a compilation of the other two. The issue is never the dollars, always the devotion. Of course tithing is about the dollars, otherwise why would we be talking about the tithe at all. I don’t know of any tithe teaches who believe as long as you tried to give a tithe, then that’s all that matters. A tither believes that a minimum of 10% belongs to God and if it’s not given, the devour will be after their finances. 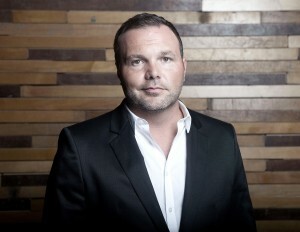 Mark Driscoll related tithing with sacrificial giving numerous times. But how can ‘sacrificial’ and ‘tithing’ be synonymous when everyone’s income and financial level is drastically different from one another? Let me explain. If a rich person gave 10% and if a poor person gave 10%, how much more sacrificial is the poor person’s 10%? Could you consider the rich person to be sacrificial at all? Our definition of sacrifice is so distorted because most of us are fairly spoiled. Most spoiled people have a strong lust for possessions. So in our eyes, sacrifice might not mean that we gave much. It could mean that we gave very little but had to fight our urges to keep all of it. Let me be clear, the extent at which you had to overcome your lust in order to give is not the also the extent of your sacrifice. We act as if overcoming our sinful nature is adding points to our scoreboard. Most Americans (or other 1st world countries) look at their sacrifices in this way – “God i really wanted that 85-inch flat screen LED 3D TV, but i know that would be selfish so i did not buy it.” Inconvenience does not equate to sacrificial. !0% is sacrificial to some, but not all. Is Tithing and First Fruits the Same Thing? 10% of your gross not your net. The bible calls it firstfruits. You give first and best to God. Israel was not required to tithe on their first or the best. Leviticus 27:32-33 says clearly that the tenth (not the first) animal was set aside as the tithe. And that they were not to search whether it was good or bad. The first fruit offering was a completely separate gift, offered at a completely separate time, with a completely separate purpose & meaning. The tithe and the first fruit offering were never synonymous in the bible. I could go into even more evidence disproving the relation to tithing and first fruits, but i would just be beating a horse that is inanimate, breathless, and without all other signs of life. This is not an argument about whether or not God deserves the best. It’s all His, so He deserves the best & worst and first & last. You don’t have to be a scholar to see that Mark Driscoll (modern church movement leader) is wrong about something so clear and simply written in the bible. Has the guy even read the parts about tithing? I could see how people put on the blinders when it comes to defending tithing, but to also be wrong about first fruit offerings means there’s a habitual problem. Money tends to place people under some sort of spell. We become zombies and will destroy our closest relatives to satisfy our craving for it. We tend to lose our soul, sanity, and intellect just for the sake of controlling the flow of money. Because of money, thorough preachers will nonchalantly read past scripture when they typically are exhaustive. Bad doctrine by influential speakers spreads like an apocalyptic disease. The effects consume quickly and efficiently, but to reverse course takes so much effort and time. Hopefully one day Mark Driscoll will get tithing right. 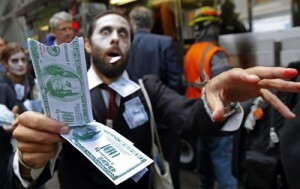 Chances of us finding a cure for this tithing zombie apocalypse seem pretty slim at this point. The constant reference to the tithe being the best of your firstfruit has truly reached scandalous proportions. Like you said, it should be obvious to even a half-intelligent person that there is a whole world of difference between the tithe and the firstfruit but the problem is many Christians seem to live their brains at home when going to church. I tried desperately to show how wildly different these 2 concepts were and someone accused me of ‘mathematical tomfoolery’. Even their take on the tithe as being 10% is even wrong because trying to calculate a 10% tithe on an odd number of animals would have being extremely difficult for the average israelite. I explained that firstfruit refers to the first while the tithe refers to the tenth and I illustrated with an example. If we had 13 people queuing up at an ATM and the tenth person was African American, does being the tenth make him 10% of the population of the queue in front of the ATM? They still didn’t get it because this false teaching has brainwashed them so badly. It’s quite sad you know. 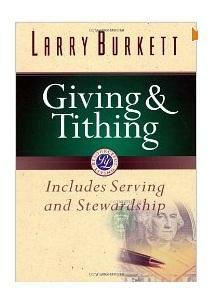 Mark, I have written a book on tithing that will be available in the very near future. I am not against tithing in and of itself. My issue is with the legalistic teachings and dogmas that have been established and imposed upon the Believers by fearful and ignorant leaders. When a person is told that they are “robbing God” if they don’t tithe, or that they are “cursed” if they don’t tithe, it places them in an obligatory behavioral pattern. That is in total disharmony with 2 Cor. 9:7 which instructs us to ‘purpose in our hearts’ what to give; not out of necessity (obligation, or compulsion) or grudgingly (an unwilling attitude).If a person purposes to tithe, then by all means, tithe. However, there are some who cannot afford ten percent. There are others who wouldn’t miss it. When we acknowledge that the Law was in place to help guide men’s minds and hearts towards God, the sooner we will fully embrace the finished work of Christ. Furthermore, 99.9% of churches are not obeying the instructions of the tithing system. The tithe was for the priests, Levites and feasts. How many greeters, deacons, children’s church workers, praise team members, etc. are receiving from the tithe today? NONE! What happened? 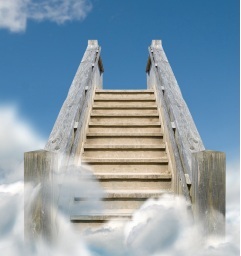 Manipulation of God’s people happened…That’s all I will share for now…Peace and blessings. Thanks for your comment. please post a follow up when your book is available. I have a different opinion on what it means to give a tithe. You say some may not be able to afford tithing, but isn’t our money the Lords, no matter how little or how much? Our very health is the Lords. Our bodies are the Lords. He has given us stewardship over many things in this world, yet we must be reminded that it is all his. He gives and he takes away. Did Job not have everything taken from him and yet he still praised God? Should we not always have that mindset, the heart to honor God with all of our things, because he has blessed us with them. I am personally struggling financially right now, and I have not been all that great at tithing as it wasnt something familiar to me though I grew up in a Christian home. God has been putting it on my heart, strengthening my faith in him that I should not worry about money or food, where my rent will come from because he has me in his hand. My tithe, wether I can afford it or not should represent my faith in Christ to provide for me, as well as a praise to him for giving me what he has given me. And then on top of that I ask God to use what I have given for his purposes and to further honor and glorify him and his kingdom. I want to give joyously, faithfully, knowing that the consequences of my actions only go to glorify God, no matter the struggle of this earth. In James 1 it is written “2Consider it pure joy, my brothers and sisters,a whenever you face trials of many kinds, 3because you know that the testing of your faith produces perseverance. 4Let perseverance finish its work so that you may be mature and complete, not lacking anything.” If I “can’t afford to tithe” is it not I who is determining what I need? Im robbing myself of my need for God, for his love, forgiveness, provision. He has it all, and I want to give him all. I must need God first. He has to be all that I hope in. We may all falsely believe in the security of things we have, of a job, of family, of friends, of food, of home. These things may come and go. A fire may start up for no reason and burn everything I have. What then do I hope in? God found favor in Job, and yet God allowed Satan to screw up Jobs life. Job lost all he had, everything besides his life, and Job still praised God. I can’t do it all now which frustrates me, but I ask God to continue building and growing in me to create a heart that only desires to serve him, to give him all that I can, and that means giving the shoes on my feet, giving my food to someone who may need it. I do not want to be the servant who digs a whole in the ground and hides my masters money. I do not want to be someone who grapples and hoards every dollar in my bank account. Though I may have need of it, for rent or for food, it is the Lords money that he has entrusted to me to be a steward of, that I may be responsible with it as well as invest it back to further make our King richer. The Bible text concerning “firstfruits, best and first” is taken from Proverbs 3, 9: “Honour the Lord with all of your possessions, with the firstfruit of all of your revenue.” I translated a German Bible into English as I don’t have an English Bible at hand right now. Tithing was only on food, and related to those who produced food. The New Testament church was house church, had no buildings and no paid priests. St Paul was in unpaid ministry and took a part time job. Nothing Mark Driscoll says here on tithing has anything to do with the Bible. The entire made up doctrine of modern tithing dates from the 9th century. Since tithing under the law of Moses is only types and shadows of Christ; would this mean that those who twist the shadow of the Christ to be about monetary systems of today are guilty of sin? Paul rebuked the Galatians over circumcision because the spiritual truth was that circumcision foreshadowed the work of God in the saints regeneration. There are several places in the old testament discussing tithes. Num 18 God tells the Levites that He is their inheritance, He then gives commandments concerning tithes. If God says in the OT that something (in this case the tithe offered as a heave offering) is representative of Him; should we not conclude that these oblations are shadows of Christ? The sin, peace, burnt and all other sacrifices were shadows that pointed to the reality that came in Christ Jesus.